Don’t create tension by trying to be something you’re not. In this warm and frank talk Guru Sri Subramanium tells us that a little humour and honesty is by far the best way to God. 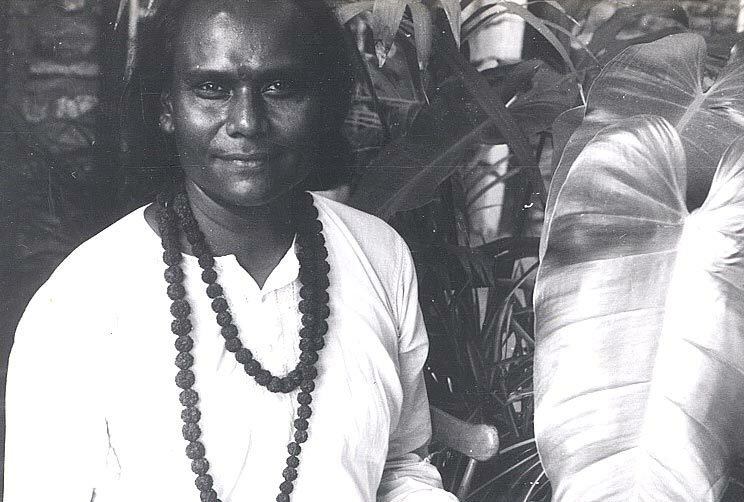 Guruji: Many people on the spiritual path are put off by the thought that they have to give up something in their life. But putting yourself in a straight jacket does not help you at all. If you like something and then some crazy guy comes to you and says: ‘Give it up!’ Then he is doing a great disservice to you. But if I were to sit with you and say: ‘Study the causes and the effects you set in motion in everything you do in your life’ – then you will advance spiritually faster. Every action has many reactions. Multiple reactions – like a ripple in the ocean. You are the recipients of those actions and reactions. It is very easy for you to say ‘I give up’ but then you are constantly thinking of what you have given up, because you still want it. But you must have heightened mindfulness of what you are doing. Be aware of what you are going to eat – know how it is going to affect you. You are the best person to make that judgement. If I were you to put you into a straight jacket and tell you not to do things that would harm you, you will do it anyway, and then develop a guilt-conscience. You are the architect of both pain and pleasure. The ripples that you cause are registered within you – in the whole of your aura. It is like a big vibration that goes to the ether. Imagine, when you lose your temper the impulses that you create? The electrical charges that are released by your mind and body create colours around you that repel Divinity. Whatever you do registers in your aura. Your manner, your conduct, your behaviour pattern, the food, the environment – everything has some influence upon the structure of your aura. So make an effort to live in an atmosphere of tranquillity. Don’t live in an atmosphere of aggression and fear. You have the power to change – then use that power to change, every one of you. Question: I have no power to change! Guruji: Oh yes you have! Change is not overnight, change is not instant, change takes time. Habits take long to break. You have become used to certain ideas and habits and mannerisms that are harmful to you. Your mind is impaired by those actions. Why are they harmful? Because they create so many impediments within yourself. You have got used to the idea of constantly running away, when you really have to stand-up and make a decision. Your attachment and demand to the world of illusion that you live in compels you away from God. Have all the luxuries of the world, but don’t be attached to them. Make a lot of money and be successful, but don’t be attached to it. Lots of people believe that to be spiritual you have to give up everything – throw them out of the window and call that spirituality. No! Spirituality becomes meaningful when you are successful – you have made money and you can pay your karmic debt. You have to learn. Ultimately having done all the things you wanted to do… you will then slowly change. The more you can look at life realistically, and find out how you can make a proper balance in your life, then you will be successful spiritually. If you delude yourself, you will find it more difficult to accommodate spirituality in your life. You will start with all the good will in the world, following somebody’s instructions how to continue a spiritual path; but your innermost thoughts will clash within yourself. You’ll be thrown by your desires that you have. That should be the preoccupation of any human being who wants to advance spiritually. Do not delude yourself that when you start on a spiritual journey, suddenly you will be liberated. No way. You have to cope with your five senses – they are going to make greater demands on you when you start a spiritual journey. You have to learn how to work with them, and not to be afraid of them. Make a good study of all the things you do in your life; find out the causes and effects you set in motion. And if you open yourself to that dialogue between yourself and God, I promise you, you will never be alone. No! Tell Him! Not a leaf falls from a tree without the Lord knowing it. Be honest. I promise you, if I did not present myself as I truly am to God, the Lord would never have come to me. Never. I think He finds me amusing. I think one of the most compelling reasons for me to write my autobiography would be to educate people how easy it is to be with God, and teach people how to bring God to them without being pretentious.